View from large beach front balcony! 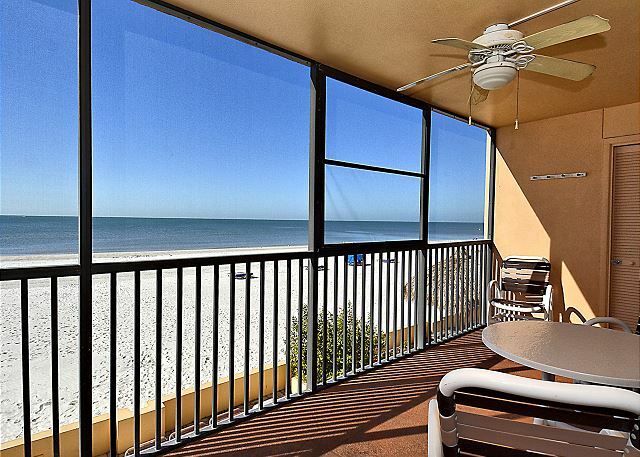 This premier condo has a large, screened in balcony facing the beach and the Gulf of Mexico. There will be great memories from the spectacular sunset views. 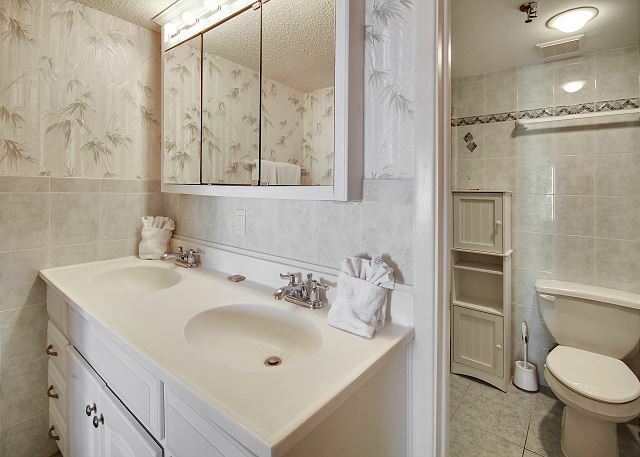 The décor is a traditional and comfortable. 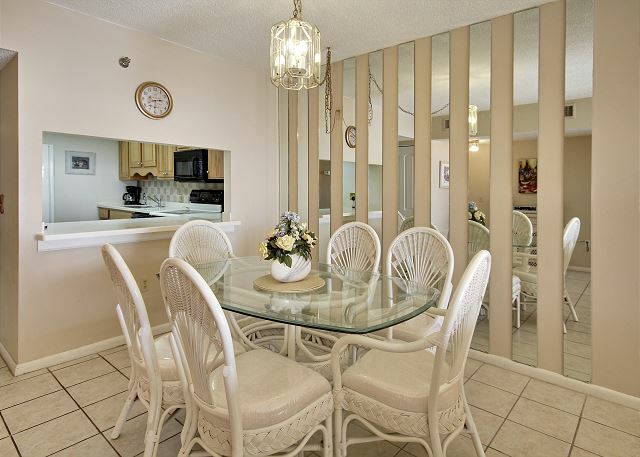 The kitchen is fully equipped and you are within walking distance to restaurants, shops and other beach activities. Free DSL internet service is available. I love dealing with all the folks at Resort Rentals they make the rental process easy. The unit we stayed in is a bit dated - it could use some color and texture to make it feel more welcoming and comfortable. The kitchen was not well equipped, we prepare most of our own meals rather than eat out. Having to use a key to access the beach and pool area was a bit annoying but, the location and view are Spectacular! Had a great time. Unit was very nice. The city did a great job keeping the beach clean even though there was some red tide in the area. Thank you for this post and YES, a shout out to our city for the AWESOME work they did with keeping up with our affects from Red Tide!!! We are sorry it was even around during your visit but are glad you still had a great time! Thank you for being our guest and we hope to see you back for another beach vacation soon!! Overall. Condo was clean and there were plenty of starter supplies there until we could get to the store. The master toilet wasn’t working when we got there, but we called for service and the problem was fixed right away. The price is fair and the location is perfect! It is less than a mile from John’s Pass, and there are many great restaurants close by. This was our 5 th time staying at Villa Madeira and our 3rd time staying in #204. Over the years we have taken advantage of the many activities near by: mini golf, movies, jet skiing, dolphin watching, even day trips to Disney. There are grocery stores close by as well as many well- known restaurants. 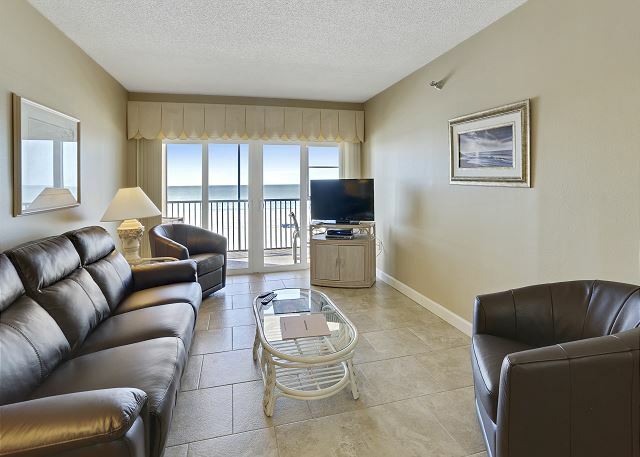 The only things I would suggest: to have a rollicking bag cooler and/or a wagon in the condo so that it would be easier to transport items to the beach, and to have a shower seat available in the shower for handicapped or elderly guests. 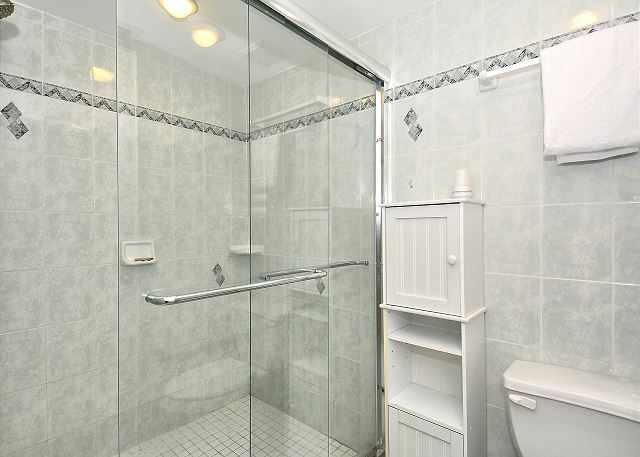 I do like the fact that it has a walk in shower in the master bath. This was convenient for my dad. Just difficult because there was no seat. But overall, it was a great experience! I will definitely be back! Thank you so much for your feedback from your recent stay with us. We will be sure to pass this information along to the owner for the review for possible additions. 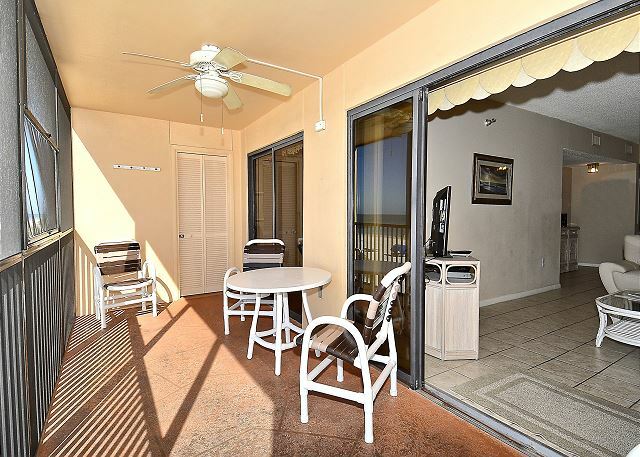 We are glad you are comfortable in this premier condo and that you enjoy your time on Madeira Beach, it really is an awesome location keeping you close to everything you need just like you said!! :-) Thank you so much for choosing to stay with us for your beach getaways and we look forward to having you back for future visits. As always love the condo. I would like to see either no screen door or a new one as 2 people cut their ankles on it. 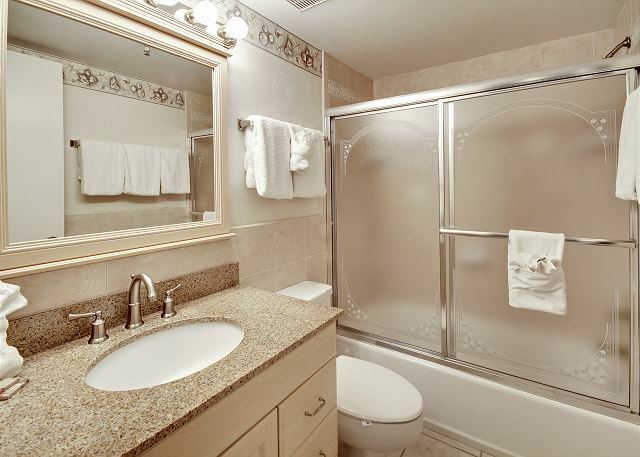 Also when items such as towel racks are broken the housekeepers should put it in for repair before the folks come in. You are absolutely right and we are so sorry you found that and let out staff know. They are normally so good about reporting those items and we are sorry if this was not addressed prior to your arrival. 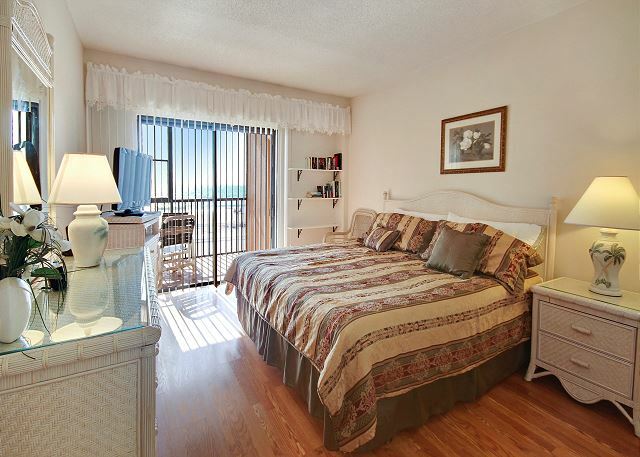 Outside of that, we are so glad you enjoy this premier condo at Villa Madeira and we look forward to your next visit!! Robert S from Ranoake, VA does not recommend this vacation rental. Beach was second to none, However the condo was dirty. And, the people who are on the homeowner association board were extremely rude... told my stepson who just drove 13 hours to move along when he arrived. My stepson was looking for my wife and I, to get a parking pass. And the old man told him he needed to get back in his car and move along....REALLY, AFTER DRIVING THAT LONG TO GO ON VACATION!!!!! Apparently they were rude to people all week as well, not exactly what you want while on vacation!!! Did like the pool, the sand and gulf were incredible. The condo was a little out dated, the master bed was really uncomfortable. They seem to have this new policy in place, where you have to have a key to go the beach, go to the pool, and enter the building... that got pretty old after the first day. The elevator was broke down for half the week as well, thank goodness we were in the second floor . John's pass was awesome!!! So yeah it was just OKAY!!!! Thank you for your feedback from your recent stay. We are so sorry for any troubles you had with anyone onsite!! With it being one of the busiest weeks of the year on the beach over the 4th of July we feel they were just overly monitoring things as we get a lot of locals that try to use parking spaces on site over that week and ultimately they were looking out for their guests, unaware of your situation. There are also owners that live at the property year round and they were just protecting their homes, if you will. We are sorry if it was not handled politely in anyway and please pass on our apologies to your son for those troubles!! 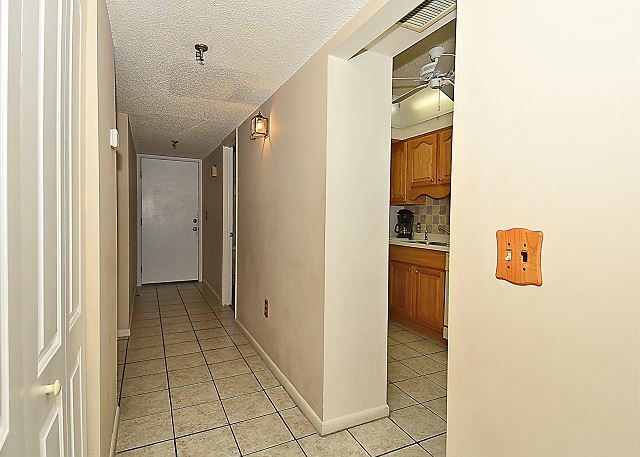 In regards to the condo itself, we are sorry if this unit was not a good fit for you. We do have others at this location or at different properties in the immediate area and still quite close to the awesome John’s Pass, if we can help with future vacations to the area we would love to find you the perfect fit!!! Brenda D from Plymouth, Michigan does not recommend this vacation rental. Same location annually for 20+ years. Condo condition was fine, but the horrible smell of dirty mop lingered for days. Our condo was not ready exactly at 3:00 so it was most likely the last one cleaned for that day, and probably cleaned with dirty water and mop. The master bathroom smell was the worse. Improved smell after cleaning with tile and mildew cleaner from Winn Dixie and running the shower every day for 3 or 4 days, and airing out the condo. The furniture, counters, and appliances were all clean. 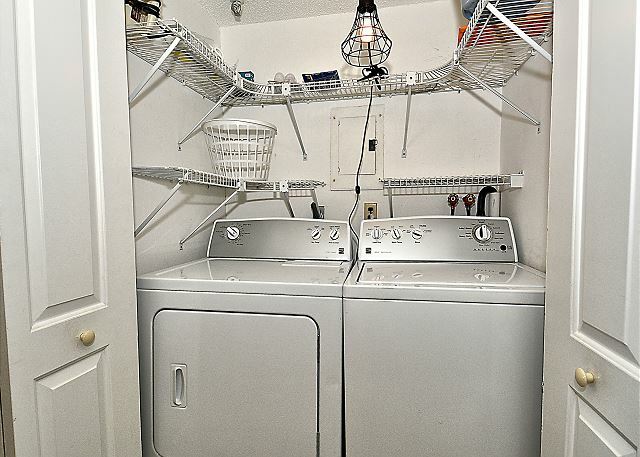 The washer and dryer were very nice and new looking. Just the smell which we thought would go away after one day but did not. We are so sorry about this and have talked to our housekeeping about the situation. Please accept our apologies on their behalf if things were done properly!! Please do not hesitate to contact us with this, we would be more than happy to send them back out so that things are finished up correctly and not left with anything but a pleasant smell. We truly are sorry about that and will be more thorough. We hope this will not stop you from another visit. Glad everyone was comfortable at the Villa Madeira!! We just love hearing about the dolphins sightings, they are just amazing to see!! 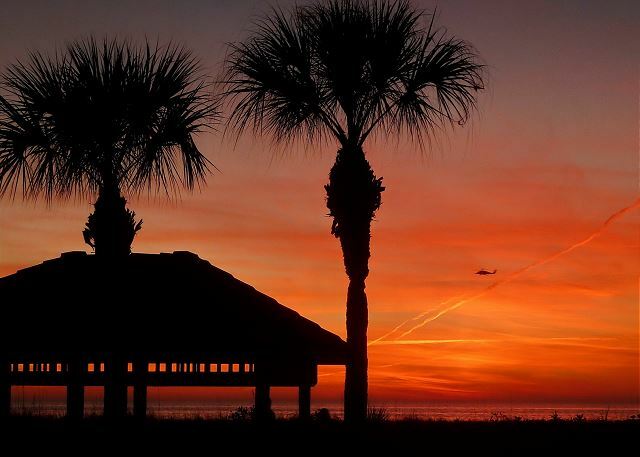 :-) Thank you for staying with us and we hope to have you back on Madeira Beach for another beach getaway soon!! Great time enjoying the beach and the pool. We rented a condo due to dietary issues in our family and found that there were a few missing essentials in the kitchen - corkscrew, scissors and pot holders, but we improvised. We were unable to get the DVD player to work, but that was a very minor inconvenience. Thank you for your post! We are sorry if you were missing a few items from the kitchen and we will be sure to let the owners know. If you are ever in need of things like that, please do not hesitate to contact us at our office as we do keep a number of items here that we are more than happy to help with. We have all 3 of those items here and if you need anything, we are more than happy to get them your way to use during your stay. We want you to be totally comfortable in your rental so please let us know if there is anything we can do for that! :-) The DVD we will have our maintenance take a look at to be sure everything is connected properly. We do apologize for that inconvenience. 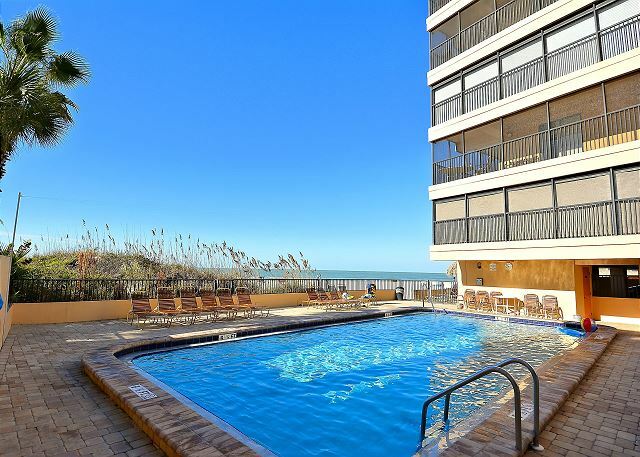 Outside of that, we are very happy to see that you had a good time enjoying the pool and the beach and we hope to have you back for another visit soon! The location of the condo is really nice. 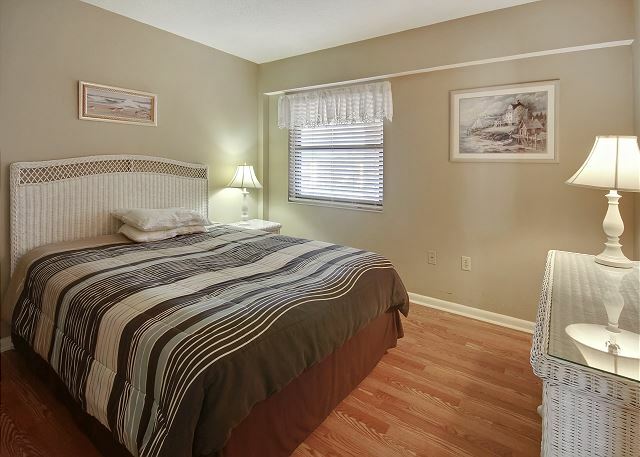 Easy access to the beach and good location within walking distance of John's Pass. The lodging was fairly well up today and the amenities are decent. You have to use a key to get everywhere and so that was not always the most convenient. We would stay here again. Thank you for this post and feedback! Glad to hear you enjoyed this premier unit at the Villa Madeira and its location, it really is ideal! We can appreciate the frustrations of the keys being needed at all times and we would love to see a keyless entry installed at this property! This is something that needs to be approved and put into place by the condo association but we too would love to have it! For your next visit to this property if that is not in place and you would like an additional key, we are happy to accommodate with that. 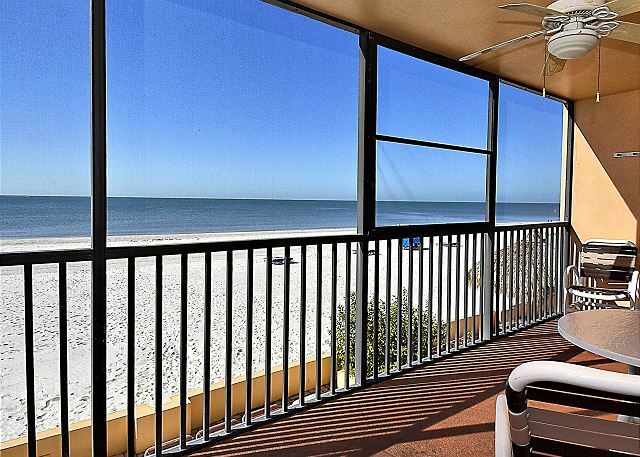 Thank you so much for being our guest and we hope to see you back on Madeira Beach again soon! Very nice condo. Great location, fantastic beach. It's quiet,clean and family friendly. Thank you for the post! We are so glad you had a good time at Villa Madeira. Come back and visit us again soon!! Everything was great! I will be back next year. Overall everything was great, location, location,location! on the down side sliding doors to balcony needs regasketing wind noise, however will stay here again! This condo is very nice! I was very impressed by the grounds keeper. He did a great job! Loved it. Great location, beautiful beach. We loved our stay and enjoyed every minute. The location was great. The rental was clean. However, the kitchen was not well equipped. The kitchen lacked many items required in cooking. It would be nice in the future for Villa Madeira to have a grill somewhere on property. 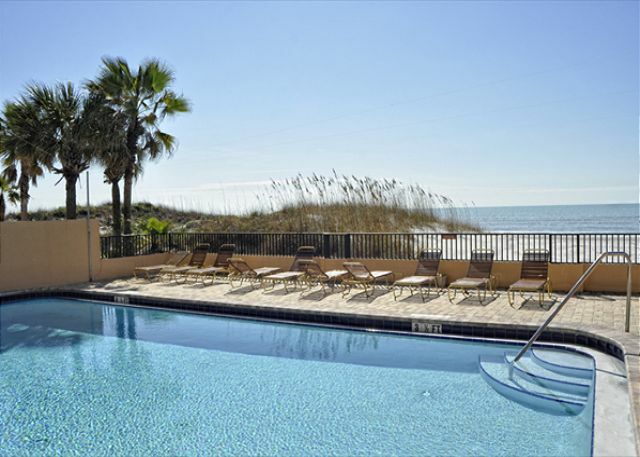 Great access to the beach, clean pool area, lots of seating in & out of the sun. Wasn't real impressed with having to drive to everything we wanted to do. And to make it worse, nearly all parking anywhere we went was pay to park. That could get expensive over a week's stay. You could hear people staying in the neighboring units. But, overall, the one we stayed in was more than I expected and the building & grounds were great. Thank you for your review. I am pleased to hear that you enjoyed your time while here. Sorry about the driving issue. Although I am not sure exactly where you went while you were here, I did want to let you know that the Trolley is always a great source of transportation. It runs up and down Gulf Blvd from first thing in the morning to late in the evening and is very inexpensive. There are also several companies that offer free rides and the drivers work on tips only. Thanks again for your review and we hope to see you again next year! Been coming to Villa Madeira for several years now and I wouldn't stay anywhere else. 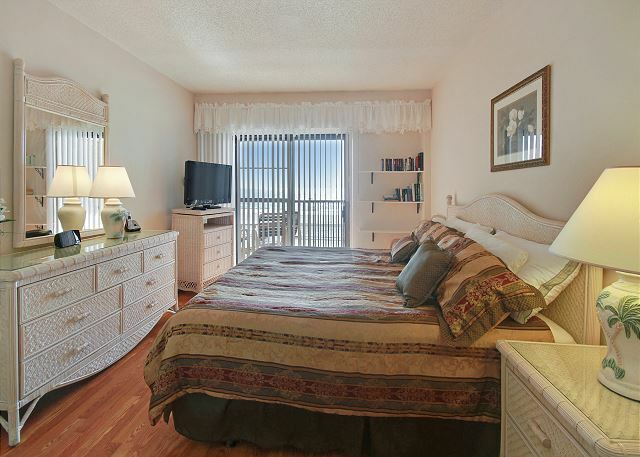 Very spacious condo, washer/dryer in unit, underground parking, beachfront and great location. Great location. Right on the beach. Wonderful. Condo was well equipped but floor could have been cleaner. Pool is great and location works well for our girls weekend. Needed to call maintenance a couple of times. We had several things that were broken but when we called most things were fixed in a timely manner. The balcony needs to be cleaned, when we walked on it with bare feet the bottoms of your feet were black. Thank you for your review. I do apologize for the broken items you found upon your arrival. It is apparent we dropped the ball but I am glad to hear we were able to remedy the situation quickly. I will pass on your comment concerning the balcony floor to the cleaners. Thanks again and we hope to see you again next year. 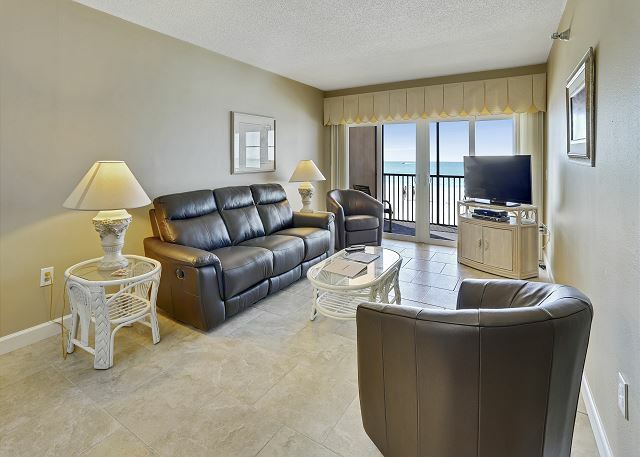 We had a nice stay and really enjoyed the condo being directly on the beach. Having younger kids, we also enjoyed the screened balcony. We enjoyed our stay at the villa madeira. The unit was very comfortable. This was the first time we used a rental for vacation,Don't think I will stay in a motel again! 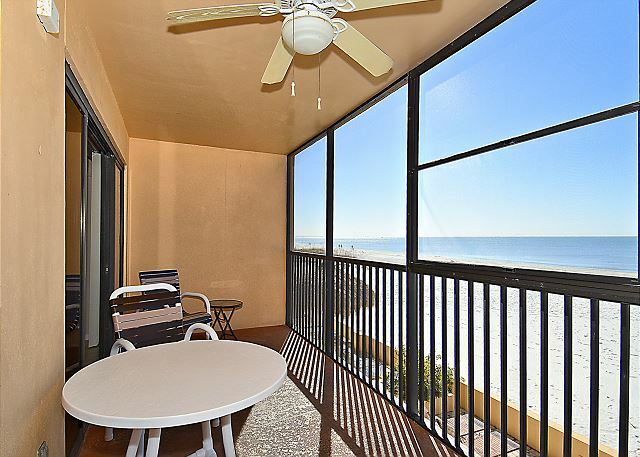 This condo was beautifully situated on the beach. It was decently cleaned and quite spacious. The kitchen was missing some of the necessities if you are planning to cook, but the appliances worked well. Unfortunately, it was not young child friendly. It has glass tables, cords on the blinds and the TV's are not mounted. Overall, we had a nice stay but would probably not rent this condo again since we have three young children. condo would be ready at 12:30. When we arrived the condo was very nice, located directly on the beach and was exactly as displayed on the internet. We were very pleased with our vacation and the service we were given. 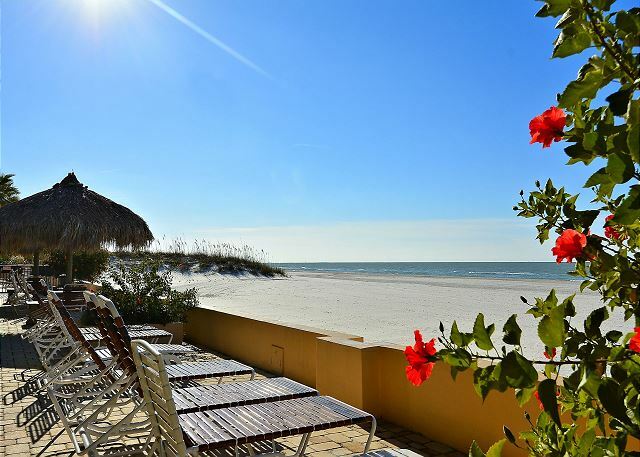 If we travel down to that part of Florida again, we will definitely use Escapia Resort Rentals. 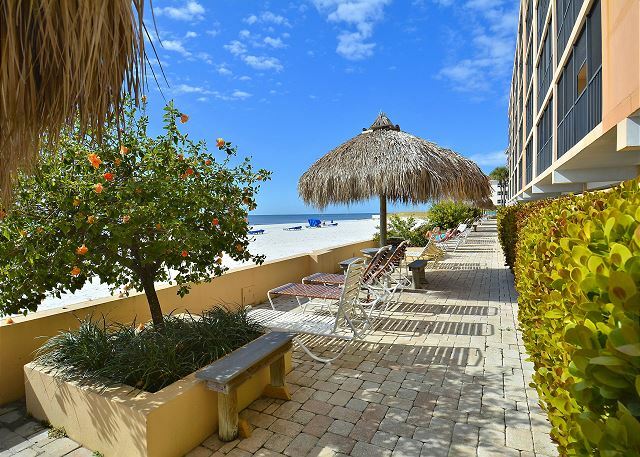 Can't beat the location -- right on the beach! There was a nice pool with free lounge chairs, but we headed right to the beach. The property management staff were very nice and very helpful - especially when we locked ourselves out! Only complaint was that the deadbolt was not functional, although the door did have a standard lock, and the stairwell and elevator lobby required keys to enter. The bed linens were very thin . . . we ended up borrowing a set of pillowcases. The back bedrooms could benefit from blackout curtains, since at night the security lights in the hallway shine through the blinds (altho the blinds looked new). But these are minor issues. 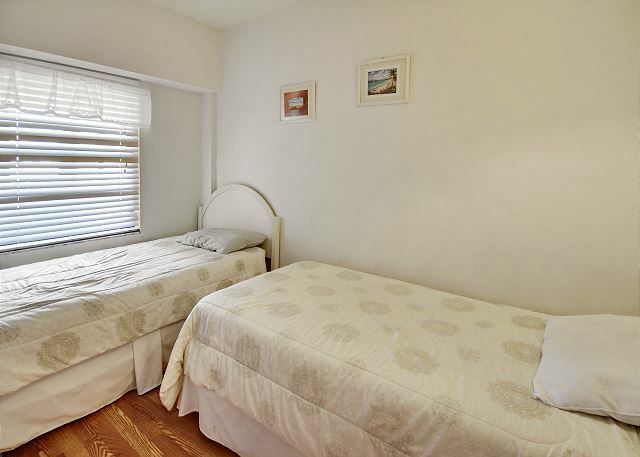 The unit looked like it had been freshly painted and there were new laminate floors in the bedrooms. The kitchen and showers were nicely updated, and the kitchen was fully equipped. Free cable and free wi-fi were very welcome; very comfortable furnishings. We will be coming back! Beautiful condo! Clean & spacious. Everything we needed was available for us! We are looking to stay there again in May 2013. Can't wait! We loved it.The only problem we had was the door key. This was addressed in a timely matter. We loved the location; being close enough to walk to restrants ect. 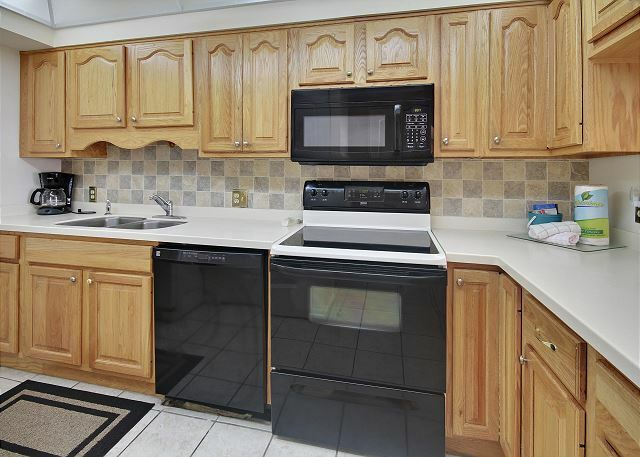 We thought this unit had the best equipped kitchen in over 20 units that we've rented. We had a couple of issues but they were quickly resolved and we would rent from your group the next time we come to Tampa/St. Pete. Had a fantastic time. Will definitely return. A few items: Need a rubber mat in front bathtub. For our use needed another nightstand in master bedroom. Stronger shower head in master bath. Had a couple of holes in sheets (could use some new ones) Overall we had the best time. It was very good as usual. My only complaint about the unit was there was not may glasses available for use, overall kitchen supplies were very minimal. This is the best on the beach!!! Great location and well priced. Keeps us returning every year! We had a great time at the Villa Madeira! The first day we watched dolphins from the balcony. We definitely plan on staying here again. The pool could have been warmer, didn't get a chance to use it. AWESOME TIME AT MADEIRA BEACH, FL. An absolutely wonderful condo with all the comforts of home, the best part was sitting on the balcony enjoying our morning coffee and watching the dolphins, truly spectacular! My family & I highly recommend Villa Madeira, we will be back! See You Next Year! 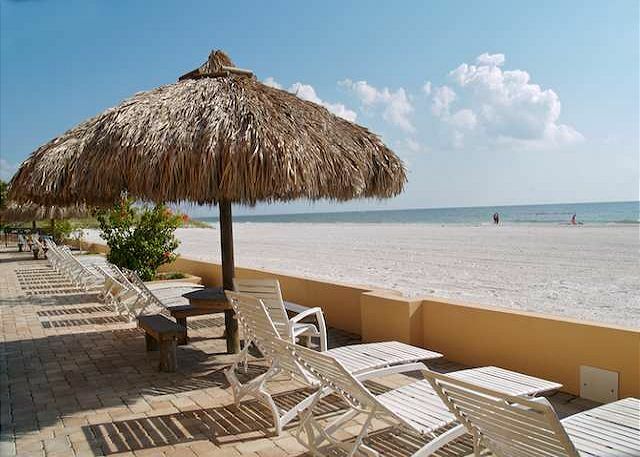 Resort Rentals makes it easy to book a stay on the beach. Helpful front desk staff, from the inital contact right up through checkout. RR is our preferred rental agent for this area. We have stayed at this condo complex twice and have enjoyed everything about it. The beach is beautiful and not as crouded as other beaches. The dolfins put on a wonderful show for everyone right in front of the condo. 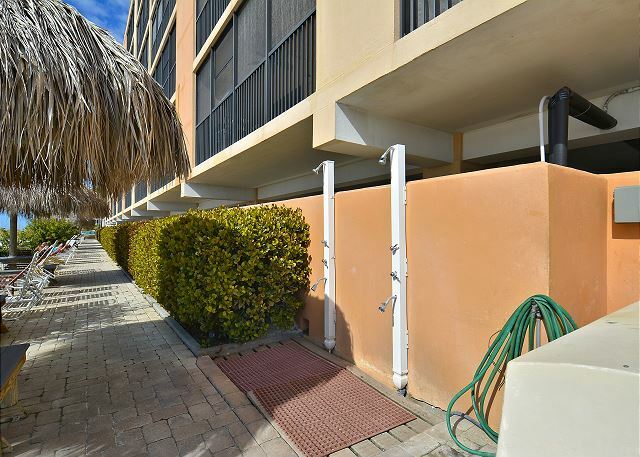 We would encourage anyone to stay in this condo complex. The accomodations were wonderful. Perfect for our family get together. Condo was clean and had everything needed for a relaxing week. Highly recommend the property and location. Looking forward to doing this again! Beautiful view and beach. 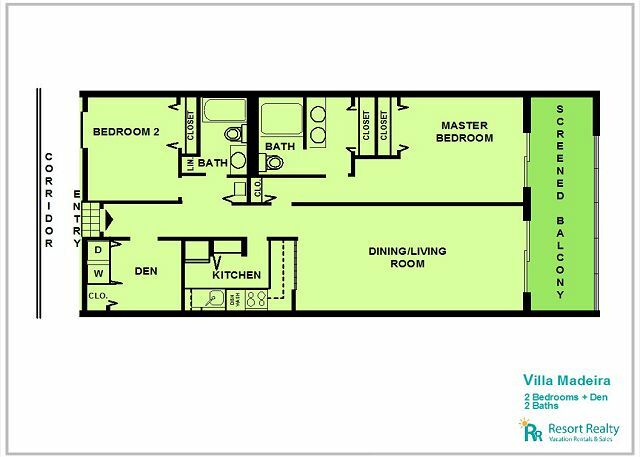 Location ideal for all needs.The unit was very clean and roomy. All you need is your toothbrush. The only thing missing was a BBQ. on the property. We had such a relaxing time we are booking for next year. Can't wait to go back. I was definitely surprised to discover that I was supposed to wash my own sheets and towels, during a two week stay, as well as take out my own garbage. The last time I did that, I was camping and the cost was considerably less. Better communication about how the wireless access is achieved (i.e. the WEP key). Nice location even at 49 degrees.